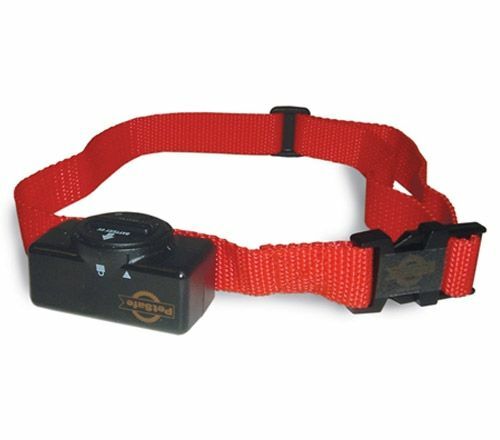 The Petsafe PBC-102 Bark Control Collar helps your dog learn the difference between good barking as a protection measure and bad barking due to over stimulation or boredom. The bark collar detects vibrations from your dog’s vocal chords and in return sends an electronic static shock correction signal to your dog. Your dog will quickly learn to avoid the static correction by not barking. Replacement batteries are the Petsafe RFA-67.